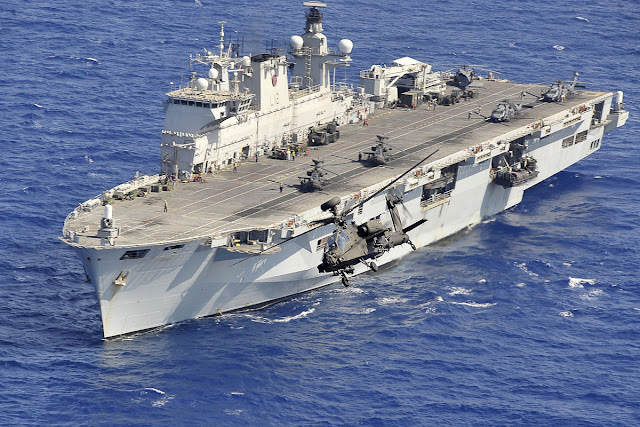 Brazil has bought the Royal Navy’s flagship HMS Ocean for £84 million, it has been reported. The UK Defence Journal claims it has received confirmation from a source in the Brazilian Defence community that the sale of the Devonport-based helicopter carrier has been agreed. Its website reports that Brazilian journalist Roberto Lopes told the journal that the purchase has been confirmed by Brazilian Defence Minister Raul Jungmann within the last week. I know that they're getting two new aircraft carriers but I can't help but feel that the Brits will miss the capabilities that these small little, affordable monsters provided to the Queen. On the other hand...Brazil just got a steal of a deal. Well done to their Ministry of Defense. They are growing capabilities on a budget. Nicely done.